DIY Scrubbing for the People. Err Pooches. Dogs get dirty, but owners want them to stay clean and fluffy. To remedy this conundrum, Spots has started a do-it-yourself dog wash for East Nashvilles canine community. 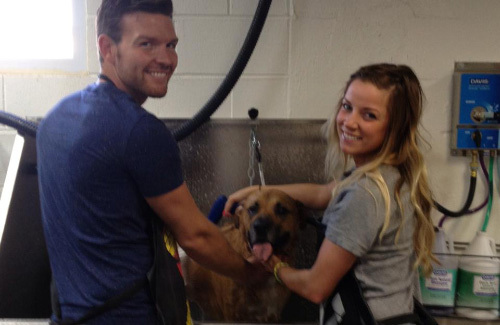 With four basins for scrubbing away the aftereffects of your poochs most recent adventure, our dog wash is one of the largest in Nashville. All you need to bring is yourself and your dog. 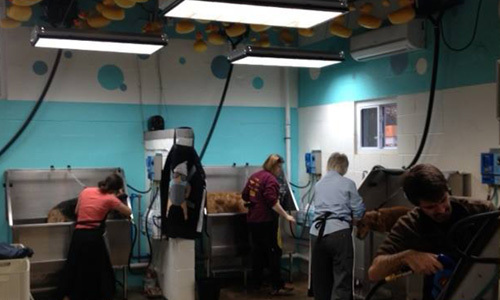 We provide everything else you'll need for the dog wash, the soap and all of the supplies. Our do-it-yourself dog wash is $11.99 for ANY size dog. © 2019 Spots Pet Supply & Dog Wash. All Rights Reserved.